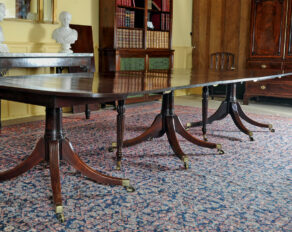 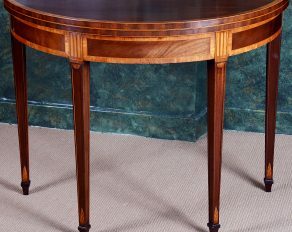 A fine rare George III mahogany three pillar dining table circa 1798. 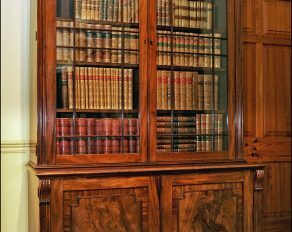 A fine Georgian mahogany Bookcase circa 1820. 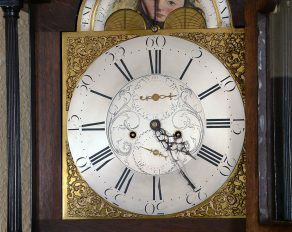 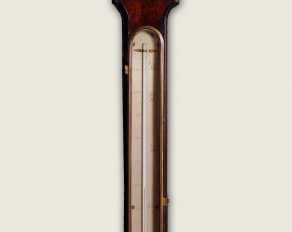 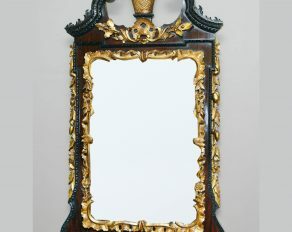 A George II period Irish mahogany and parcel-gilt pier mirror circa 1750. 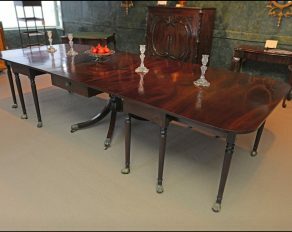 A fine late George III period 3-part Cuban mahogany dining table circa 1800. 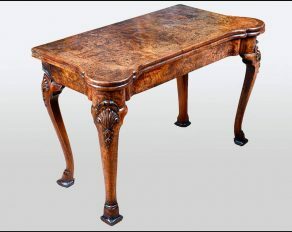 A very fine George III mahogany games table circa 1775. 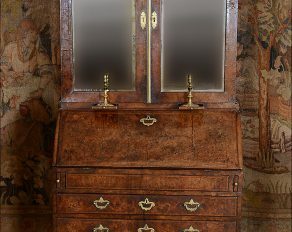 A fine George I burr walnut bureau bookcase circa 1730. 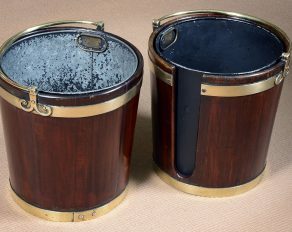 A pair George III mahogany plate buckets circa 1770. 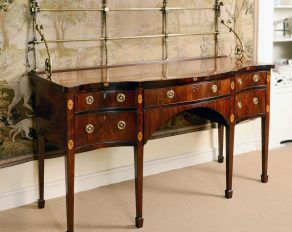 A fine quality early Sheraton period mahogany serpentine sideboard circa 1790.